Distributed control systems for manufacturing are currently evolving towards Industrial Internet-of-Things (IIoT) systems. Sensors and actuators get equipped with internet connectivity, which allows them to interface with cloud platforms. This potentially enables a number of application cases. However, industrial “things” may be much more complex and more resource-constrained than typical consumer space “things”. This talk provides an overview of Industrial IoT application cases and sketches various challenges for researchers and practitioners using the example of turning a level sensor for industrial tanks into an IoT device. This entry was posted in ABB, Industrie 4.0, Talks on 30. April 2018 by admin. Talk from Hannover Fair 2018: "Self-commissioning industrial IIoT systems"
This entry was posted in ABB, Industrie 4.0, Talks on 23. April 2018 by admin. This entry was posted in ABB, Industrie 4.0, Talks on 30. January 2018 by admin. In April next year, software performance engineering experts from around the world will gather in Berlin for the 9th International Conference on Performance Engineering, ICPE2018. The conference will have a great industry track program with contributions from many companies, such as Cisco, IBM, Oracle, Bosch, and LinkedIn. Topics range from energy consumption benchmarking, microservices, virtualization, software containers, distributed profiling, and software-defined networks. It should be an exciting conference with the opportunity to share experiences across companies and between academia and practice. So, book your trip to Berlin! This entry was posted in Events on 15. December 2017 by admin. This entry was posted in Industrie 4.0, Talks on 29. June 2017 by admin. The Plattform Industrie 4.0 has released a new paper on a standards-based Plug&Produce approach for industrial devices, which was mostly written by me. 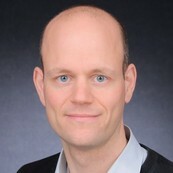 The paper is a contribution to the current working groups on Industrie 4.0 and focuses on a specific application scenario, where devices connect to each other with limited human interaction. Its purpose is to point to existing standards and reveal standardization gaps. 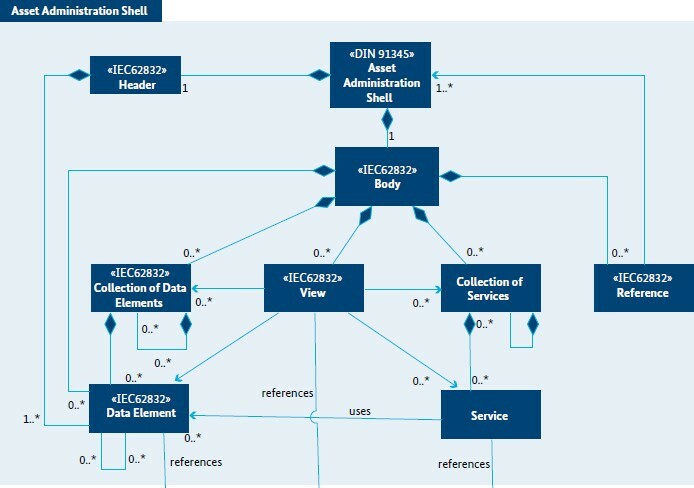 Although a good fundament of standards exists, there is still the need to create more semantically standardized information models to realized this application scenario in a vendor-neutral way. This entry was posted in ABB, Industrie 4.0, Papers on 15. June 2017 by admin. After many years in the making, the Palladio book was finally published by MIT Press. I wrote two chapters in the book. 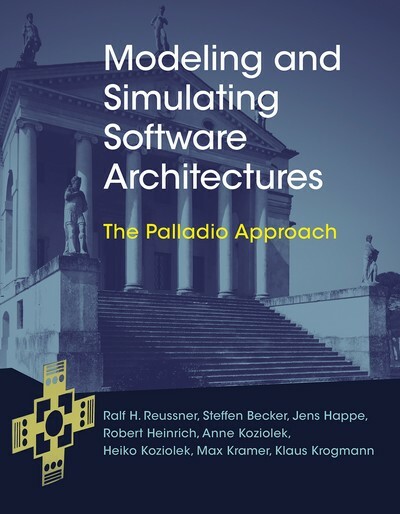 The text details the key concepts of Palladio’s domain-specific modeling language for software architecture quality and presents the corresponding development stage. It describes how quality information can be used to calibrate architecture models from which detailed simulation models are automatically derived for quality predictions. It will also be an essential resource for software architects and software engineers and for practitioners who want to apply Palladio in industrial settings. You can also order from Amazon. This entry was posted in Papers on 29. October 2016 by admin. This entry was posted in Papers on 11. December 2014 by admin. Despite significant scientific research, systematic performance engineering techniques are still hardly used in industry, as many practitioners rely on ad-hoc performance firefighting. While there have been several industrial case studies on performance modeling in the last few years, more experience is needed to better understand the constraints in practice and to optimize existing tool-chains. I gave a talk summarizing six years of performance modeling at the Decartes/Kieker/Palladio Performance Symposium 2014 in Stuttgart. In three projects, different approaches to performance modeling were taken, and experiences on the capabilities and limitations of existing tools were gathered. This entry was posted in Talks on 27. November 2014 by admin. 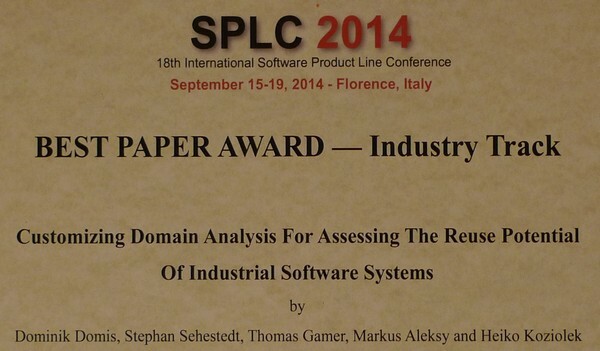 Happy to report that our paper entitled “Customizing Domain Analysis for assessing the Reuse Potential of Industrial Software Systems” received the Best Paper Award of the Industry Track of SPLC 2014, the 18th International Software Product Line Conference in Florence, Italy. We have applied domain analysis on a number of device engineering tools and enterprise information systems from ABB and have reported several lessons learned. This entry was posted in Papers on 20. September 2014 by admin.